MyNotifi® is a wearable device that detects if you fall, and summons help for you. It sends notifications to a list of neighbors, friends and family that you define, to let them know you may need their assistance. Falling and not being able to get up is a very real concern for seniors, and for good reason. Imagine the frustration and fear of lying on the floor in pain for hours or days, never knowing when help will arrive. Imagine walking into your loved one’s home and finding them in that terrible situation. MyNotifi is highly accurate in its ability to detect falls, because we know you absolutely depend on it to work, all the time. That’s why we’ve added several additional safety..
​ Johnny Ross, the founder and CEO of MedHab, and creator of the MyNotifi fall detection device, was interviewed recently by the Standard-Times. He talked about the life-changing event in his life that inspired him to invent MyNotifi, the third of his company’s medical device products. MyNotifi is a fall detection device, designed to be worn on the wrist. It interfaces with the wearer’s smartphone. When MyNotifi detects a fall, it contacts a personalized list of friends and family to let them know that help may be needed. To learn more about Johnny and MyNotifi, read the full article. 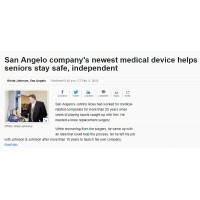 ..
​ FOR IMMEDIATE RELEASE San Angelo, Texas – MedHab, creator of the wearable fall detection device MyNotifi, is pleased to offer NSCA and member affiliates (Senior Corps Programs, volunteers and clients) an opportunity to take part in a three-pronged fall prevention service strategy, which will include education, fall prevention, and research into fall prevention. “NSCA was founded on the shared belief that professional cooperation is the most effective approach in advocating for all Senior Corps projects,” said NSCA President, Donna Whitcomb. 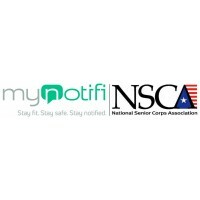 “MyNotifi provides yet another resource in helping our senior population live healthier, happier and more independent lives.” NSCA is a non..
Top 25 Tips for an AGE-LESS Home! There’s No Place Like Home If you’re like most Americans, you want to continue living in your home as long as possible. In fact, 91% of seniors between 65 and 74, and 95% of seniors who are 75+, reported that they would prefer to age in place for as long as they can. Of course, as we age we can expect some potential physical or cognitive changes, and other limitations. And those could require slight modifications to make life easier. 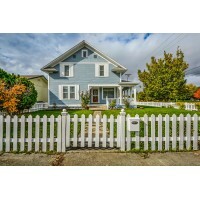 As we change with age, why shouldn’t our house change right along with us? The two biggest challenges: Keeping up with normal activities & tasks within the home. Avoiding falls. At MyNotifi, we know a lot about falls and fall pre.. They Fell for Us, Over and Over Again! "Learning is not attained by chance, it must be sought for with ardor and attended to with diligence." - Abigail Adams When we developed the MyNotifi fall detection device, it wasn’t all at once. We knew it was going to be a process of learning, creating and innovating. First, we created an algorithm that could learn and therefore, help guide our development. Then we gave it a large number of experiences and data points to learn from. This required some hardy volunteers to help us collect data on how people fall by, well, falling for us. After the engineers were done designing the components and electronics, our team of expert researchers developed the criteria ..
It’s a new year, and if you’re like half the American population, you’ve made a few New Year’s resolutions. Self improvement, losing weight and working out account for almost half of resolutions of, and for good reason. Study after study shows that exercising is one of the best things you can do for your overall health. And as you age, it’s even more important to add regular exercise to your life because it helps prevent injury-causing falls. At MyNotifi, we know a lot about why people fall. One of the biggest causes is problems with balance and gait. This is followed closely by lower body weakness. In fact, as your lower body weakens, your chance of falling increases fourf..
MyNotifi is pleased and honored to announce the start of a wonderful new program, designed to help seniors in a very important way. As an enthusiastic supporter and a platinum sponsor of the National Senior Corps Association (NSCA), we’ve seen an opportunity to use our expertise in fall detection and fall prevention to help the many seniors served by the NSCA. The program we’ve launched has three parts: education, prevention, and research into fall prevention. NSCA is a non-profit organization that promotes, represents, advocates for, and enhances the power of Foster Grandparent, RSVP, and Senior Companion programs, nationwide. As advocates for the elderly, NSCA has seen the importanc.. The Critical Holiday that Nobody is Talking About What’s the most important day of the year? Some may choose a special holiday, a birthday or anniversary, or maybe even a day we get to sleep in an extra hour. We found another very important holiday that we will be celebrating this year. You see, at MyNotifi® we spend much of our time thinking of ways to advocate for and improve the lives of seniors. So, naturally when we learned that the National Council on Aging (NCOA) has deemed September 22nd National Fall Prevention Awareness Day, we were excited to spread the word. Falls are one of the top drivers leading to Assisted Living. Does this surprise..
It’s the Thanksgiving season, and once again, like you, we find ourselves counting our blessings. What are you thankful for? We know many seniors who are very thankful for continued good health. Staying independent and living life fully is easier when you’re feeling good, and when you have good mobility. It’s something that nobody can take for granted, especially as we age. At MedHab, we spend a lot of time thinking about good health and good mobility. In fact, one of the best ways we know how to help seniors is by helping to prevent falling. Falling is one of the biggest factors leading to Assisted Living. Does this surprise you? It shouldn’t. Fall.. The holiday season is finally upon us. Cue the baking, shopping, decorating, family and the busy traveling. Along with the holiday hustle and bustle comes extra tasks and changes in routines. This can also increase the risk for falls. Falls are more common than you may realize. Every year, approximately one-third of our 65+ population will experience a fall. As age increases, so does the risk. More than half of people aged 80 and above fall each year. And falls can have very serious health consequences. We know you’d much prefer to spend the holidays with loved ones in front of a cozy fire rather than in a sterile and costly emergency room. Here are 5 tips to help make sure your holi..